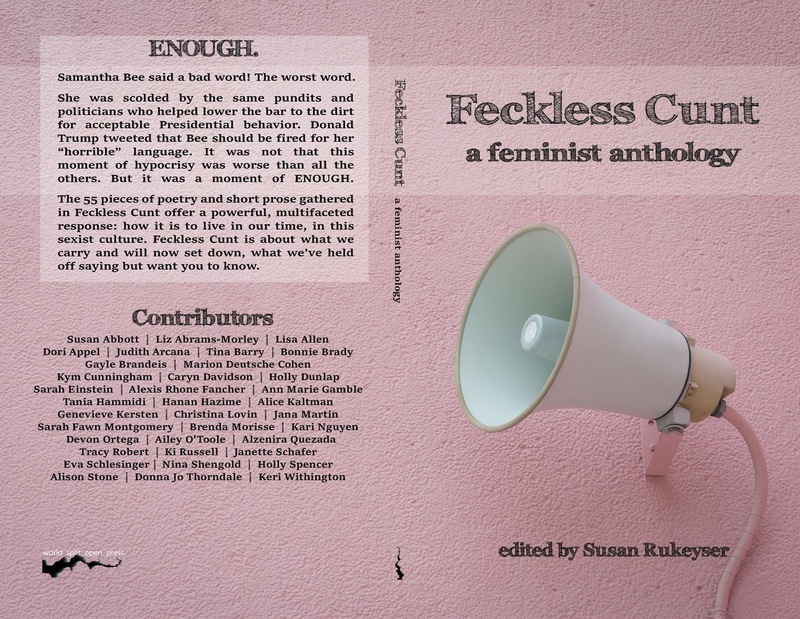 Super excited to be part of this new anthology of writers from my state! The book includes at least a couple other graduates from my college, which is very cool. Many thanks to Z Publishing for reaching out and including my work. Pre-orders are open now (see the Books! page for the link). I’ll be back with more once this comes out September 13th. 2018. A year since I’ve posted. Trying to regain a writing routine: fiction, bits of nonfiction. I’ve switched computers and my work is saved here and in other places and I’m trying to be ok with words spread across several electronic realms, while old partially-filled notebooks crowd the corner of the bedroom, sandwiched now between folders of resistance work: conference call notes, event dates and take-aways, political brochures. These folders I hadn’t anticipated. It is a shock, every day. I find myself gravitating to social media to feel connected, to confirm I am not hallucinating, to verify that these times are in fact as crazy as they feel. I think that is ok. My heart drops every time a new alert is pushed out to my phone. Sometimes it is good news, something to grab tightly for a few seconds before the next wave of hateful something announces itself in glowing text. We wanted to be connected. Sometimes it feels like there is very little to show. If one person runs their shoulder repeatedly into a brick wall, in an effort to knock it down, that person is crazy. Their shoulder will shatter before the wall comes down, making this a stupid analogy. I’ve lost count of the resistance events I’ve attended. Each time I leave for one, my husband says: Be careful. He watches the kids while I’m gone. My daughter has joined me before but all three of my kids are so young, and I’m trying to shield them as much as possible, don’t want them to witness the turmoil. I’m sad, embarrassed, angry. I want so much more for them. I am trying to clean up a mess, like I clean up every mess in their world. Not showing up, not speaking out, is not something that would have even occurred to me. It’s mandatory, just like laundry, and buying toilet paper. On January 15, 2017, after the election but before 45’s Inauguration, Meg Tuite and Ken Robidoux published a video called “Standing Together” in an issue of Connotation Press. It is about coping in the years ahead, and I’m so proud to be included, with my one sentence I worked on for far too long and read off-camera while I filmed. I’m humbled to again be included in a project with folks I admire so very much, and am again blown out of the water by the heart of Meg and the heart of Ken and the hearts of everyone standing together. It matters. It’s a great compilation of thought and I love how varied it is. 2017 was also filled with lots of family activity: my grandmother turned ninety (she has since passed, Valentine’s Day 2018, reunited with my grandfather; she met him on a blind date many many Valentine’s Days before and so we tell ourselves this is part of their story); a long-anticipated and saved-up-for treat from my parents for a big weeklong family vacation rental on the Cape; two sister weddings sandwiching an Achilles heel surgery for my husband, before my daughter started full-day school for the first time and my twin boys began their first year of preschool. For my youngest sister’s bachelorette celebration, we did a paint and sip night, and for some reason (wine, possibly) I ended up painting some true feelings instead of a black tree and a white moon and a beautiful night sky. So I named it “Russian disease tree” complete with a “red flag” for a moon and drops of blood red spots for stars and a tree turned ashen with flecks. A diseased Russian tree. Summer ’17, painted in our state’s capital. I like how it looks leaning up against the antique white of the playroom, a playroom still half-finished, painted when my oldest was just two (she will be seven this spring). One day one of the kids left this dog sitting in front of it and I snapped a picture before turning off the light and following them upstairs, because I loved it, and hoped I could use it for something. I’ve secretly named the puppy Mueller. The dedication of The Lost Story of the William and Mary: The Cowardice of Captain Stinson reads, in part, “For all those, then and now, who risk their all in search of a better or longer life, and all those who risk their all to help them.” This statement rooted me to the page, both for its nod to a timeless struggle as well as for its recognition of a collective humanity. It acknowledges need (“better or longer life”) and places it in context (“then and now” – still, always). It highlights the critical piece that helpers are required, and the danger on both sides of that relationship. And, still, there is a note of controversy. A caution sign. This will not be easy. There will be risk. One would like to hope that these risks are natural ones, and if they are not natural ones at least they will be accidental. One would like to hope that no person would knowingly impede someone in a serious time of need, trying to provide for themselves and their families. And yet history repeats. The Lost Story of the William and Mary is a tale of cowards and heroes and imperiled lives. It is a story of profits and people. Gill Hoffs takes us back to 1853 and the port at Liverpool where we learn about the passengers at the center of the story, a group of men, women, and children who risked everything they had for an immigrant’s chance at a new life, and who were cruelly treated despite, and in many ways because of, their vulnerability. Their lives were considered irrelevant to many, so much so that a proper investigation into their plight was never pursued. The truth has never been closely examined, until now. This is important and moving. At the center of the controversy is Captain Stinson, son-in-law of one of the ship’s owners, and commander of the crew of the William and Mary. Hoffs appears driven by a historian’s curiosity, wanting to get every detail right, as far as she can, because she knows this matters. Through her writing, Hoffs shows a deep reverence for victimized individuals, as well as to their familial lines and descendants (if they were lucky enough to have them). It is this respect for story and all of its players that makes a Gill Hoffs book of nonfiction (see also: The Sinking of RMS Tayleur: The Lost Story of the ‘Victorian Titanic’) a satisfying read. Hoffs dutifully sets the scene, and a horrifying scene it was for so many living in Europe leading up to and including the early 1850s. Famine, poverty, illness. Crime. Hopelessness. The landscape of suffering here is tangible and clearly evoked. As with much of the book, Hoffs employs first-person accounts to show us what sections of London, at this time, smelled like (“[T]he air has literally the smell of a graveyard…” is one example) and what could be heard in Irish fields (“…mothers half naked, shivering in the snow and sleet, uttering exclamations of despair whilst their children were screaming with hunger…”). As unbearable as these passages can be to visualize, they are crucial in placing these would-be emigrants into proper context. The pull of America, a sea’s journey away, was the promise of escape. Hoffs rightfully points out that information was withheld from emigrants pertaining to slavery and the treatment of Native Americans, evils that may or may not have swayed desperate travelers. Throughout the book, Hoffs makes good use of these fantastic, first-person descriptions, including of the voyage and wreck and of similar voyages of the time, and relies heavily on these written accounts, including from two young men named Roorda and Haagsma, who traveled as part of a Frisian party from the Netherlands. These men were among the over 200 people on board the William and Mary; the group included passengers of Irish, Scottish, English, German, and Dutch descent who were sailing from Liverpool to New Orleans in March, 1853. It was an uncomfortable journey for passengers from the outset, as many of them were very ill with seasickness, and some even developed typhoid fever from unsanitary food and drink. The actions and negligence of the captain and crew just made things worse. Haagsma tells us, “Once a week provisions were distributed and in such a way that a half of the ordered portions stuck to the fingers of those doing the distributing which was all loot for the captain and mates.” And Roorda writes, later, “At the end of April we experienced – alas! – a fearsome exercise in punishment on board” to describe a beating of the ship’s cook, as ordered by the captain himself, for possibly interfering with provisions on the passengers’ behalf. When the William and Mary made it to the Bahamas in the first days of May, passengers were desperate, hopeful, and anxious for food and solid land; fourteen people had already died along the way. Sadly, those passengers remaining on board would come to realize that they were in dangerous waters, as the ship had sailed quickly into the shallow and rocky waterways near the islands, thanks to strong winds and questionable decision-making by Captain Stinson. The ship was soon overtaken by a storm and damaged on rocks before resting for good, causing terror as water began to fill the ship. A man named Bekius described “how the children clung to their parents and how parents clutched their children – in short; we stood by helplessly and overwhelmed with sorrow.” Hoffs weaves together written narratives and harrowing details to show the deteriorating conditions and confusion onboard, and points out what a captain could and should have done in such circumstances. Ultimately, and most significantly, the captain (and most of the crew) abandoned ship in one of the precious few lifeboats and left those traveling under his guidance behind, presuming they would sink with his ship; one member of the crew even used a hatchet to chop at passengers attempting to gain access to one of the boats, and several people drowned in this immediate chaos. From here, Hoffs chronicles the aftermath, following not only the 175 people aboard the shipwreck and their subsequent lucky rescue by the heroic crew of a wrecking schooner who brought them to safety as best they could, but also of the 36 people who made it off the shipwreck in the smaller boats and fled the scene, including Captain Stinson, who arrived finally in New York and, as Hoffs writes, “reported the William and Mary as lost before his eyes…” which of course was not true. Newspapers on both sides of the ocean began reporting on the story, and there was a general outcry as to his behavior, including in The New York Times in May of that year. The captain quietly disappeared around this time, raising more suspicion and blame, and later in May and on into June the papers began reporting that most of those passengers presumed dead had been rescued and had made it to America after all! Hoffs makes it clear that more rigorous standards for oversight and accountability would have gone a long way in preventing a disaster like this one from happening in the first place. (For example, “…the officer who provided Captain Stinson with a certificate of clearance enabling him to leave port without facing a fine or prosecution didn’t check the ship thoroughly, including the provisions – and the lifeboats.”) More importantly, Hoffs raises the point that passengers in these times were considered secondary to the more profitable cargo a ship would be carrying from one port to another. In some instances, a shipping company stood to gain more by losing the humans on board as well as the ship, if it was to be lost, because they would have to compensate survivors. (The gall!) A Commissioner of Emigration for New York stated several years later that emigrants were “handled with less care, as they did not break, nor, if injured, require to be paid for” unlike the goods a ship carried. This idea of value and cost is a central theme, and begs the questions: What do we lose? What do we gain? And who decides? The Lost Story of the William and Mary is a specific and well-researched glimpse of tragedy that becomes a case study of humanity and the roles of good, evil, and ineptitude. Not insignificant are the ways in which this book speak to the global realities of our present-day, twenty-first century. Vast numbers of people around the globe continue to suffer, for an array of torturous reasons, and will seek safety and escape where it is offered. Who will help? Who will stand in their way? Gill Hoffs is a hero for exposing lost truths. May we learn from them. May we continue to lift up the stories of those less fortunate, especially of people with no appreciable means to be heard. I have been listening and reading and consuming news – the real stuff – and trying to figure out how best to use my own words in a country that, at times, has been hard to recognize. Along with SO MANY OF YOU, I have been giving, signing, calling, connecting, and showing up, out of love and hope and a belief that this is a call to action that cannot go unanswered. And there are SO MANY WAYS to be involved right now. It’s a beautiful thing, and in all of this beauty (and anger and sadness), I resolve – hold me to this, please – to continue writing. To close out 2016, I want to share my interview with Matthew Barrett, who authored the winning short story during my time as guest reader at SmokeLong Quarterly. “The Father’s Story” and our interview was published in the December 2016 issue of SLQ, and since I have not been here since then to share the interview itself, here is the link. The interview responses are fantastic. I hope you’ll check them out! In the meantime, while you are brushing up on THE HANDMAID’S TALE and 1984, find yourself a copy of Sady Doyle’s TRAINWRECK, which I just finished a few days ago and highly recommend. Still reeling, post-election, and working on words and actions sufficient to these times. Luckily, on November 1st, Connotation Press published the following video, orchestrated by Meg Tuite and designed by Ken Robidoux, which features thirty women speaking up, speaking out, aiming to include and inspire and keep on keeping on as we walk, soar, fly, live, create. Honored to lend a voice here and – bonus! – did not wake the children when filming this bit. Love you all, good people. Watch the video here. SmokeLong Quarterly: And the winner is…! Congratulations to Matthew Barrett for sending in “The Father’s Story” which won my week as guest reader at SmokeLong Quarterly back in September! The story is now available to read here. This process of guest editing has been a great honor and a lot of fun. In addition to being featured this week, Matthew’s story will also be published in the December issue along with our interview about his story and writing in general. Can’t wait to share those with you then! Thanks so much to everyone who sent their outstanding stories. 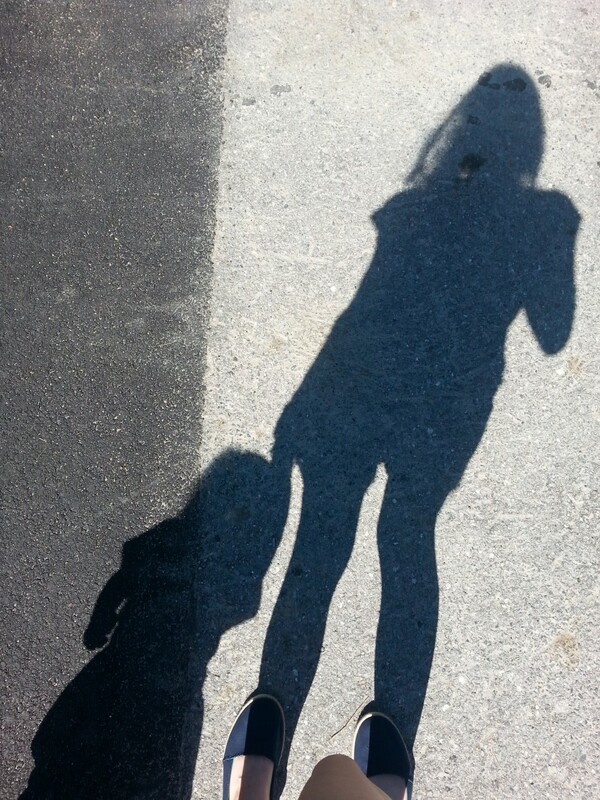 I have a new story published today at Writing In A Woman’s Voice called “Keep Her Safe.” It’s an intense and hopefully important look at postpartum depression and OCD. Thanks a million to Beate Sigriddaughter, maker of dreams. My story “Star Anise” was reprinted at Writing In A Woman’s Voice earlier this fall. To read “Keep Her Safe” go here. My story “Star Anise” gets new life at Writing In A Woman’s Voice! Thank you to Beate Sigriddaughter. She has supported this story for a long time, calling it a “haunting boat refugee story…of danger, loss, and survival, and the mindfulness of the blessings of being alive.” You’ll find the story linked here, but also check out the main page for the other important work featured on the site. It’s odd, perhaps, to say you love a shipwreck story, especially knowing it is both true and tragic. But I did love this book, and as I was reading The Sinking of RMS Tayleur: The Lost Story of the ‘Victorian Titanic’ I was very much struck by the obvious care that went into its research and writing, and I couldn’t help thinking that perhaps Gill Hoffs was somehow destined to write it. As the title indicates, the book details the sinking of the ship called RMS Tayleur. The date of departure was January 19, 1854. The location of departure was Liverpool. Destination: Australia. Obviously, the RMS Tayleur did not make it to Australia. Hoffs notes up front in the book’s Preface that many women and children lost their lives, one of the many reasons that compelled her to write this book. It is a fascinating, heartbreaking, revealing work, and I found it compelling for a number of reasons. This brand new ship and its captain were billed as the best of their time, and while there were an extraordinary number of shipwrecks in neighboring waters in this era, the RMS Tayleur, of all ships, was really considered to be as close to guaranteed safe passage as was possible. Many aboard were in desperate need of new life prospects, and were risking the lives of their families as well. And of course the passengers could not know it at the time, but 58 years later another ship would go down on its own first voyage, from the same White Star Line group. You may have heard of it? It was called the Titanic. With this book Gill Hoffs has perhaps uncovered the reason the RMS Tayleur tragedy occurred, a reason that seems to have escaped real consideration until now. For the descendants of the survivors, and for those who died, this obviously holds critical significance. Hoffs is a wonderful writer and human, and I hope you’ll check out her website, linked here. Her next book, The Lost Story of the William & Mary: The Cowardice of Captain Stinson, was actually just published, and I can’t wait to read it.